All of the evidence seems to say so. Before dismissing this out of hand, I would ask everyone read the whole post, and read it from the premise that Yahweh and El (Elohim) the actual Creator are two separate entities, (as many serious Biblical scholars have proposed), with Yahweh actually being the one of many Bene Elohim, which also includes the creature Satan, long associated with flying serpents and dragons. 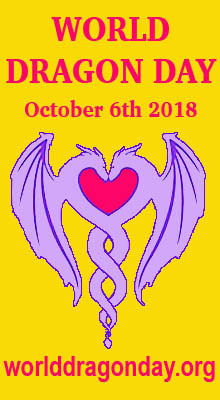 I repeat, I am not proposing that “God is a Dragon”, but that the Creator (El, Elohim), created “dragons” as assistants, that have been mistaken as our Gods around the world, including the “Watcher Dragon” of the Hebrews called Yahweh, who through a misunderstanding of scripture is now worshipped by most Christians and Jews as the actual creator. The highest heavenly creatures are called Seraphim, a word which the highly esteemed and scholarly Jewish Encyclopaedia states means “fiery flying serpent”, though medieval Christians have transformed these “dragons” into the more familiar, swan-winged, “cartoon” angels of popular culture. 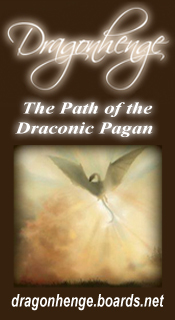 When the ancient Jews translated the word Seraphim into Greek, the word they used was drakon, which is the word our modern “dragon” is derived from. The only graven image/idol Yahweh ever permits is that of a “fiery flying serpent”, obviously his personal image, This image has supernatural powers, and Yahweh allows it to be freely worshipped in Solomon’s temple. As soon as the idol is broken, disaster befalls Israel and it has never recovered until the late 20th century. 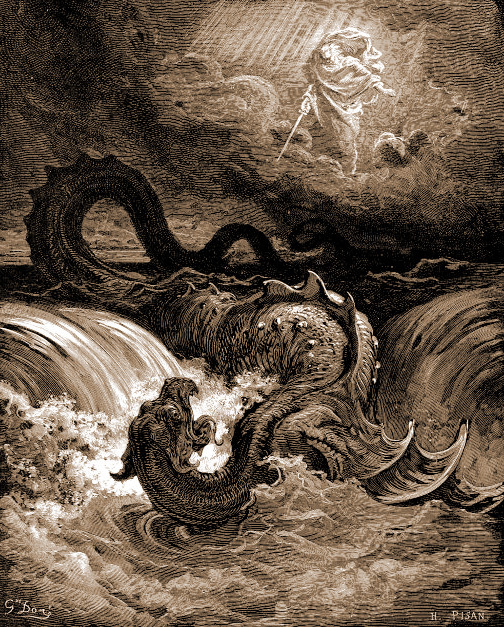 The flood story of Genesis is believed by most Biblical scholars to be a “retelling” of near identical, yet far older Sumerian versions in which the God name Enlil, who is also subservient to a greater Creator God is called “a Great Serpent-Dragon of Heaven”. His hymns also associate him with rainbows as we see in Genesis, and he is called “the good shepherd”. Some scholars acknowledge that the Name Yahweh comes from the Cannanite Dragon God Yaw, who like the Biblical Yahweh is a god of storms and floods, but is a “son” of the true Creator Elohim, also the name of the Creator in Genesis, not Yahweh. 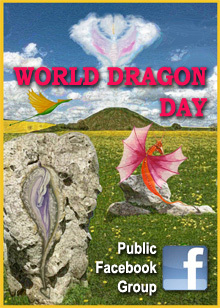 Virtually every world culture had identified the winged intelligent dragon as a real creature, and most of the earliest cultures recognize it as the creature that brought them knowledge of agriculture and technology. This is also true in the Judaic legends with the reptilian “watchers”. In Exodous, Yahweh leaves his dragon sized tent, and flies ahead of the Israelites to burn away impassable briars and scorpions. 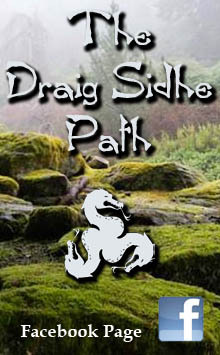 He marks the route by spewing smoke and fire. Yahweh plops his huge dragon body in the bed of the Jordan River upstream to divert its flow so the Hebrews can cross its bed to attack Jericho. Many biblical passages imply that Yahweh physically consumed his meat offerings unlike the “fake” gods of other cultures. The Bible is very specific that Yahweh wanted salt on his meat as well, suggesting these offering were physically consumed and not merely burned to ashes. Like many legendary dragons, Yahweh occasionally “consumes” humans as well, to include two of Aaron’s sons who prepared a sacrifice wrong. 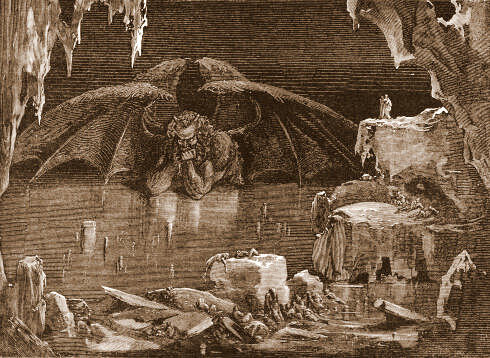 In scripture, Yahweh demanded the first born of all Israelites, but the bible says it was possible to pay him money instead, on a sliding scale, also indicating the universal dragon love of hoarding treasure. The preferred prey of dragons in most cultures are “human virgins” for reasons which are not entirely understood. This trait is very apparent in the Bible as well, where Moses presents Yahweh with 32 Midianite virgins after the Israelite destruction of this tribe. No more is said of them so we can only assume they were “consumed” like Aaron’s sons. The Persian Zoroastrians, whom share much religious doctrine with Christianity clearly state in their own scriptures (the Denkard), that the “God” of Judaism and Christianity who watched of the Israelites and provided their laws was a dragon, and brother to the dragon Ahriman in their own religion. Interestingly, the storm dragon of Sumeria who flooded the world happened to be brother to the dragon Enki who lived the the garden of Eden and who “tricked” a man named “Adam” out of eternal life. Some Christian gnostics also state Yahweh is a dragon in their scriptures. Jesus stated the Pharisees were worshipping a creature that was NOT his father. Many Christians claim Jesus meant Satan, but this does not make sense, for the Jews clearly worshipped Yahweh and clearly recognized Satan as a distinctly different creature which they definitely DID NOT worship. Could Jesus have been referring to the Yahweh dragon? After all he did not call to Yahweh from the cross, but to El. The first paragraphs of the Bible show these are two different entities, for El’s creation story is completely different from Yahweh’s, far less scientific one. Yahweh is described with “feathers”, as depicted on most of the most ancient dragon wings and this idea lasted until medieval times, after which dragons became less commonly seen. Saphira in Eragon is reminiscent of these ancient dragon depictions, and probably inspired the design of this character. Actually there is enough evidence of Yahweh “being a dragon” to literally “fill a book”, (as it indeed has, in my upcoming one on this precise subject does), but thought this is an adequate amount of Biblical facts to gender an interesting discussion. Can anyone refute these Biblical facts? And shouldn’t Christians want to embrace these facts, for the worldwide belief in dragons as beneficent supernatural entities has far more theological and even scientific precedent than “a bearded old guy on a golden throne? Might it not be a good idea to recreate the fiery flying serpent image Yahweh ordered Moses to make, something very good that cured sickness, and which Yahweh allowed to be worshipped in his temple for centuries, Israel prospering during all the time it was worshipped, and was virtually annihilated as soon as it was broken? And might there not be some volunteer virgins willing to appease Him for the good of all mankind, not to mention starting up a daily ration of unblemished calves and lambs like the good old days? And liquor. He asks for liquor in the Book of Genesis. (Actually a lot of the ancient Dragon Gods ask for liquor). 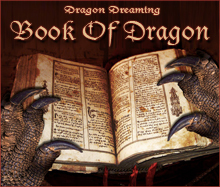 This entry was posted in Dragon Myths & Stories and tagged Bible, dragons, El, Elohim, Yahweh. Thus, in my opinion, Yahweh would have to do with Poimandres (whose prophecy has been described on this same site) … ? seriously though, why don’t Christians think this? It’s so dumb to worship a dragon and then turn over saying, “Dragons are evil!” (Though they are not). I wonder why people do things the way they do, I seriously wonder why. 2. You copied and pasted from someone elses page i just looked at that page 5 minutes ago and you literally copied and pasted everything the other page said haha dude..
3. You and the other guy whos page you copied from has no good resources.. All yall say is the information is translated to this and that but provide no proof..
Hey Dude, read the very first paragraph on the page — the one explaining where I found the article and why I re-posted it — you seem to have missed that crucial bit of info. If you really need “proof”of anything there feel free to do your own research, lol. i do always dream 2 type of dragons fighting to make me their bride. maybe its fantasy, but in dream looks one green and another is red. both can change into human. and red dragon blood while the green is more to king of fire. Thank you for posting this. For years I’ve come to this conclusion and comb the internet every few months to see if someone else has come to this same conclusion. I’m relieved to know I’m not alone, even if our overall views are different; I do not believe Yhwh is a benevolent watcher and that it has usurped the throne of El by tricking the majority of the world into believing it is the one and only deity, becoming a satan/adversary. I believe there are or were benevolent serpentine watchers though. sea that is amass of colours than be in a stone building…And I would rather claim a strong, wise ,protector as friend even if he is a dragon. world and left us took after it. And so we should not destroy it but do everything we can to do as the wise ones wanted us to do. Holy crap, wait. This makes so much sense now. I do research on the Abrahamic religions and this has helped me realized the truth found in the Balkan gnostic beliefs. Dats cool, boi! 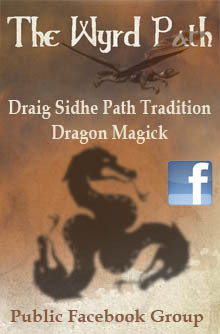 Considering Revelations clearly declares that Satan is the dragon. And Eve was tricked by the serpent, who was Satan, in the Garden of Eden, it is highly doubtable that God is a dragon; what is more likely is that Satan is the Dragon and wishes to trick you and others into believing that he is God.